Happy New Year, farm family! For Apple Hill Farm, 2018 was a year full of challenges along with great success. We said tearful goodbyes to a few animals and our hearts were opened again by new ones. Mother nature kept us on our toes through major flooding to the area in May followed by Hurricane Florence in September and Hurricane Michael in October. We struggled through our Christmas Event with snow and rain, punctuated with 2 feet of snow on December 9th. Luckily, Will came home and we used snowshoes to get to the barns and all the animals patiently waited for “room service” and “housekeeping”. In early January we took Meadow Lilly, an 18-year-old alpaca, to the University of Tennessee along with July Moon as her ‘buddy’. Meadow Lilly came to the farm in 2004 with Billy as a 4-month-old cria at her side. She is also mother to Meadow Linny and Meadow Lark. Though Meadow Lilly’s spirit wanted to survive, her body said no. With July Moon and I at her side, we said goodbye. In November of 2017, Mr. Pickles, our famous micro Julian pig, had surgery to remove bladder stones. He was one grumpy pig before and after the surgery but recovered nicely. We heaved a big sigh of relief. Then in June of last year, Mr. Pickles took a quick turn for the worse and we headed back to the University of Tennessee. The veterinarians confirmed that once again his bladder was blocked with stones, so we made the difficult decision to say goodbye and end any suffering. As our loudest personality at the main barn, his loss was a hard one to get over. Snickers, the cat who was his friend and roommate, took it especially hard and disappeared for most of the summer. There was much good mixed in with the sad. 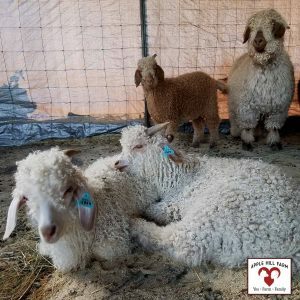 In the spring Gretel, Sylvie, Lucy, Wendy, and Sugie, our Angora goats, gave birth and we welcomed 7 adorable new goat kids to the farm family. Shortly after that, we also added our newest Guardian Angel, Theo, and helped find homes for two of his littermates. Mid-May marked the true beginning of our summer busy season and we were open and leading tours 7 days a week. Though the weather continued to be wet, people came with raincoats and umbrellas for their tours! 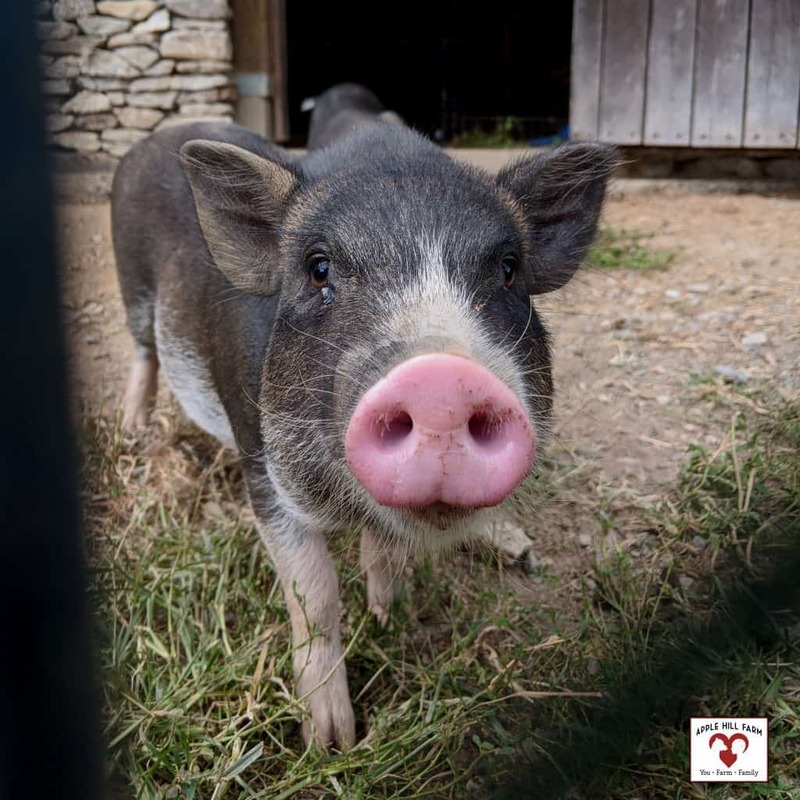 In, August we received a call about a litter of six two-month-old pigs needing rehoming. There were two girls and four boys. We jumped in as the home for the two girls and took on finding homes for the boys (and we were successful!). We named the two girls Laverne and Shirley. They hadn’t been handled much, so the first night here at the farm, I sat on the stall floor and read to them. Just as I was about to finish reading, I heard a soft meow from the top of the stall wall. It was Snickers! She had come back to be their roommate. Right before Thanksgiving we had an ice storm and received another call from a friend who raises Zebus. Zebus are miniature cows out of the Brahmin line of cows and are known for their shoulder hump and skin that hangs down under the neck. He had saved a frozen five-week-old calf and wondered if we could help. 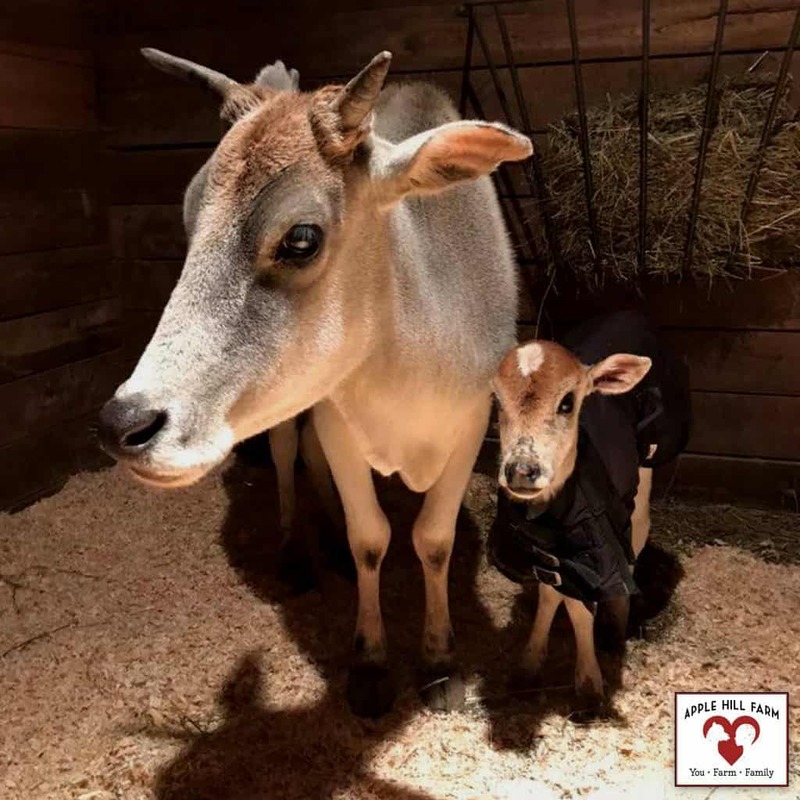 Within days we were tending to a 4-year-old Zebu we named Zara and her 25-pound calf we named Zeke. We set up a stall in the barn with a source of heat to keep Zeke warm. Out of concern that Zara didn’t have enough milk, we started bottle feeding with supplemental milk. What started as an aerobic exercise trying to catch him and get him to eat, is now only aerobic on the catch and then a long hamstring stretch as we bend over Zeke holding a bottle. Zara comes and helps with long licks of her sandpaper tongue…licks for both Zeke and our hands, face, and hair. 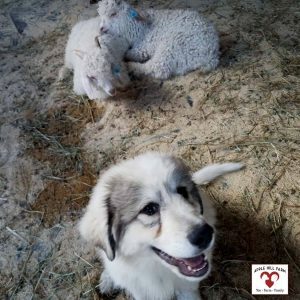 On warm days, they are going out into the field with the goats and Zeke now weighs almost 40 pounds. Zeke and Zara were the bezt Chriztmaz giftz thiz year! To top everything off, we also got a lot of unexpected but wonderful press coverage this year! We landed on the pages of Our State magazine in October as part of an article about Banner Elk. This was a highlight of the year for us as it was a goal we have had for years. 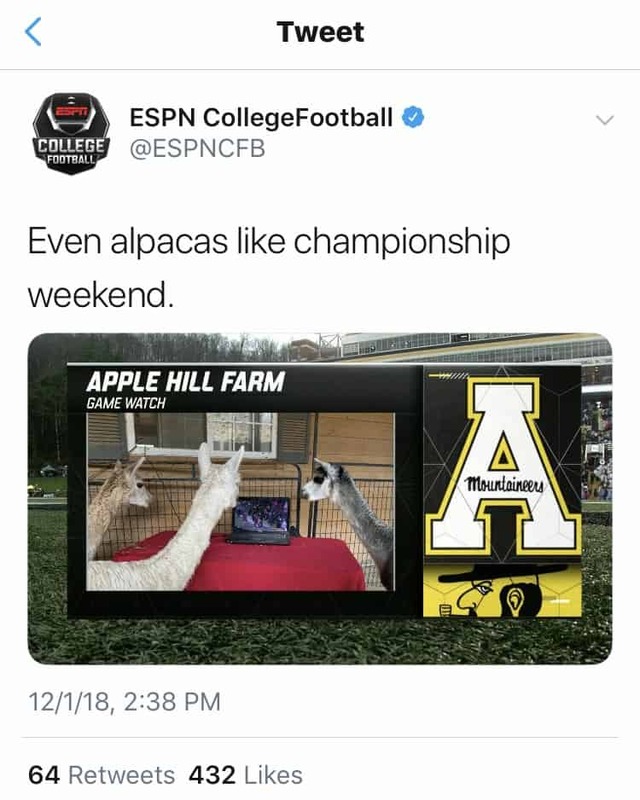 In November, we got a call from ESPN before the Sunbelt Championship at Appalachian State and they aired video of the farm during a nationally televised game!! At the request of ESPN, we set up a screen with the game playing live and took a photo of the alpacas watching. It aired in the 3rd quarter of the game as the Apple Hill Farm Game Watch. We closed the year filled with love and gratitude for our sweet animals, our amazing farm team and you -our family of fans. 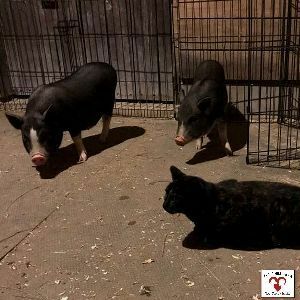 Apple Hill Farm is the connection between the animals, the team, and you. We look forward to another year of sharing this beautiful mountaintop farm filled with captivating animals through tours and events here on the farm as well as through our pictures and videos on social media. From our family to yours, we wish you a happy 2019.